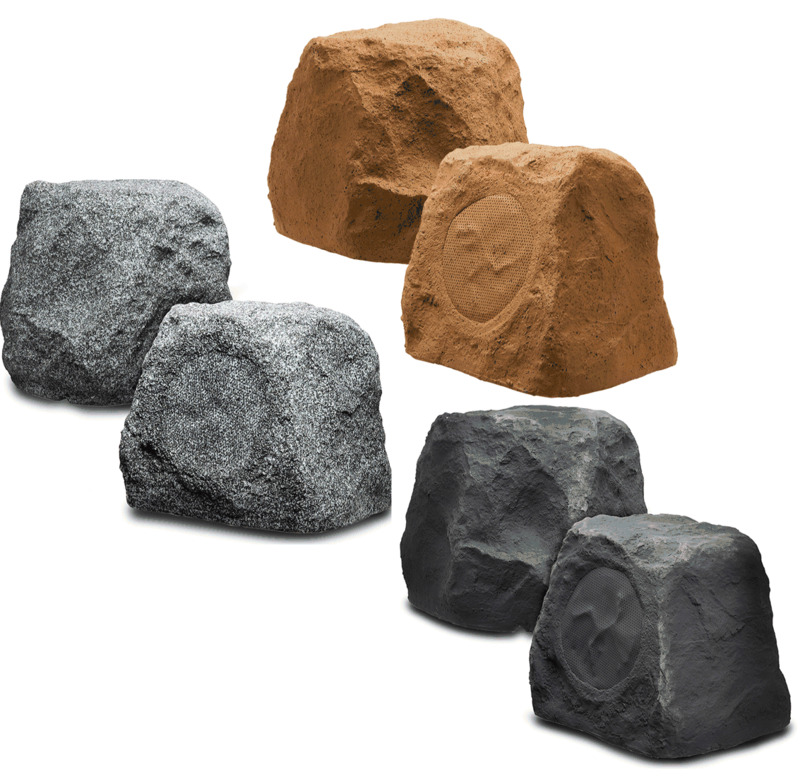 The OSD Audio RX550 5.25-Inch Outdoor Rock Speakers provide superb sound quality. They look right at home by the pool, in the garden or in any other outdoor environment. 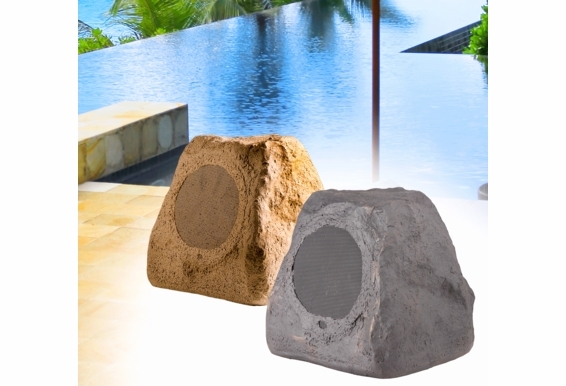 Ideal for residential or commercial use in hotels, resorts, alfresco dining and country club settings, the OSD RX550 Outdoor Rock Speakers let you create the perfect audio in nearly any environment. These rock speakers are housed in an acoustically inert enclosures that are designed from aerospace-grade, multi-layer composite cabinetry. 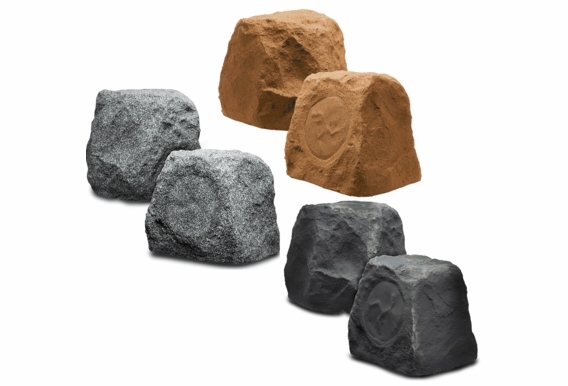 With all-weather construction that withstands high temperatures, rain and other severe weather conditions, these faux rock outdoor speakers are available in brown, slate and white granite styles. 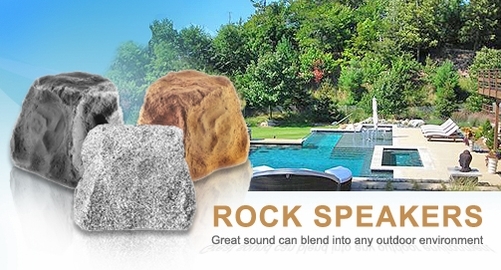 See the many rock outdoor speaker reviews from our satisfied customers. Installing these speakers can be very simple; just decide where you want them to go and run the speaker wire from the desired sound source. Most outdoor speakers are passive devices, which means they do not have built-in amplification and will need a source of power. Most customers connect their outdoor speakers directly to household amplification, that is directly to a home receiver or outboard receiver stored safely in a tool shed or other covered space where it is protected from the elements. The OSD team recommends you bury it 4-6” underground so that it's not visible nor pose a danger of somebody tripping over it. 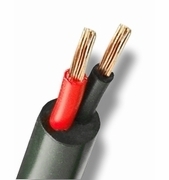 We also recommend using CL3 rated outdoor speaker wire specifically designed for the outdoors. 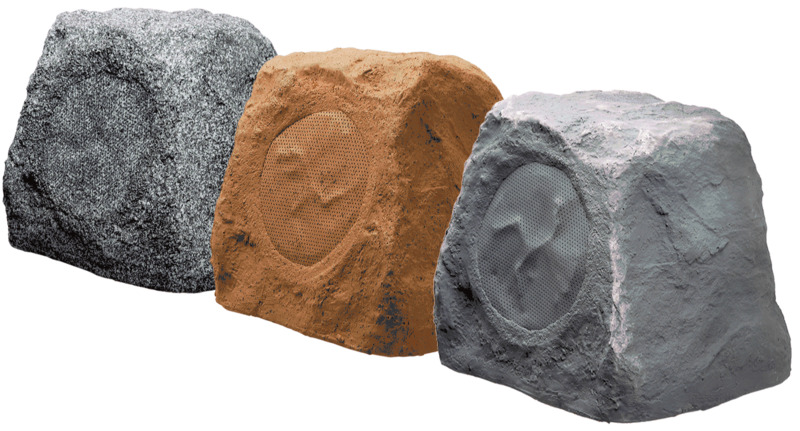 Many OSD Audio customers ask if our rock speakers can take a "Chicago winter" or an "Arizona summer," and we tell them yes. 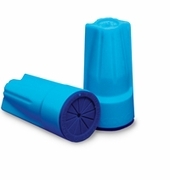 The enclosure and internal components are specially designed and sealed against all kinds of weather. We also remind folks, however, that it's not a bad idea to store the speakers during months when no one would dare to be outside. Doing this will only add to the longevity of your new outdoor speakers. 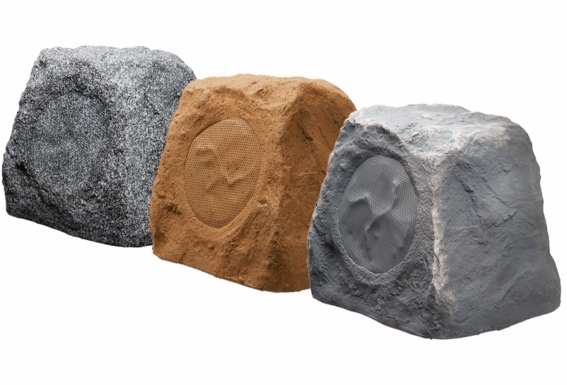 These landscape rock speakers are designed to simulate natural rocks within your landscape. 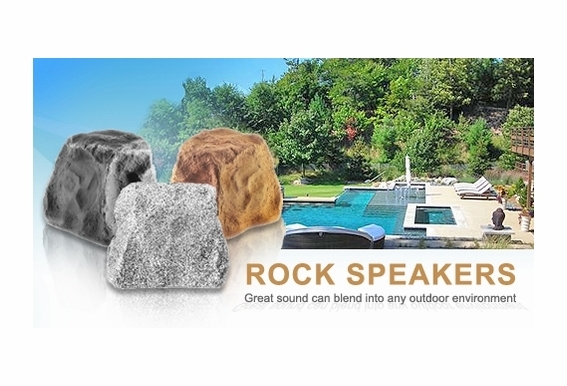 Place the Patio Tune Rock speakers anywhere a natural rock would be found. 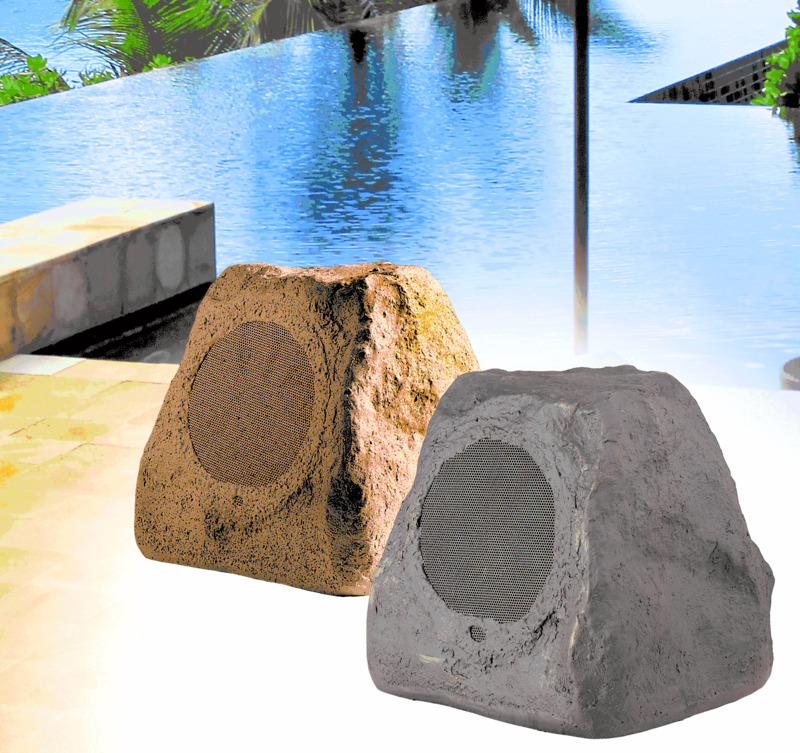 Typical locations for the rock speakers are: rock formations for barriers around pools, ponds and spas, bordering a garden and even as an accent in flower gardens. They have a combined 200 watts power for a pair. The specially constructed two-way rock speaker systems utilize weather resistant components for years of trouble free performance. The polypropylene woofer and stamped Aluminum tweeter are acoustically matched to give you clear vibrant sound with good bass characteristics. I received these speakers as a gift. 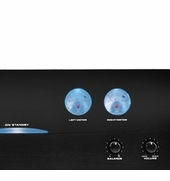 What is the best receiver-amplifier to use with them? I would like them to be loud because we have outdoor parties, but I don't need any fancy features like USB, Bluetooth, AM/FM, etc. I am hoping to find something in the $50-$100 range that is small and well designed. I am absolutely baffled by the amount of information and misinformation available online. I literally have a masters degree in electrical engineering and can't seem to figure it out. Shouldn't this be easy? Thanks! How snow resistant are these? I am a city audio engineer looking into these for an outdoor pavilion in Idaho. We have a ton of snow throughout November-February. Can I use these with an OSD-AMP60, will that do the job? why doesn't your website allow for a choice in color? I am looking for canyon brown color. Hi Steve, These are only available in grey right now. is 100W the power handling for each speaker or for the pair ? Am I able to connect an ipod/ iphone up to these? Hello, I have the following stereo shelf system Sony MCH-E609ip and I would like to know if i can connect two pairs of RX550 on it? I will keep the two original speakers connected to the system in my toolshed, and split the wires to connect the rock speakers, is this the right way to do it? The spécifications on the system says that the speaker impedance is 12 ohms. Her's the link to the system: https://store.sony.com/webapp/wcs/stores/servlet/ProductDisplay?catalogId=10551&storeId=10151〈Id=-1∏uctId=8198552921666442159 Thanks for your help. What wattage amplifier do I need to power these speakers? I see the specification is 100 Watts. Is that for both? Lets say they are 50 watts each max. Then do I need a 100 watt amplifier? I am planning on using these speakers by my pool where they will have exposure to direct sun and rain. I will be using them during the months May - September. How will they hold up to the elements? I was wondering if there was speaker wire attached to the product and if so how long??? How would i go about exchanging the product i have if it is damaged and i have a warranty?